Nicholas Petronko, a lifelong New Jersey resident, has been a proud member of the RBO since 2007. He earned his Bachelor of Science degree from Cook College, Rutgers University in Environmental Science, minoring in Education. He later received his Master’s degree in Educational Administration and Supervision from the Rutgers Graduate School of Education. Nick teaches 8th grade Physical Science at Somerville Middle School. 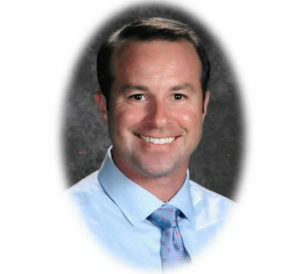 He is also the coordinator and teacher of the 6th – 8th grade Gifted and Talented program. With nearly 15 years of public school experience, Nick has served as a mentor to many novice teachers. An avid athlete, he also enjoys spending time outside the classroom, where he coaches wrestling and soccer. In the summer months, Nick hits the road, swapping his desk for a dashboard as a student-driving instructor in Monmouth County, New Jersey. Nick and his wife Lauren are proud parents of their new baby boy, Landon Stephen Petronko, one of the youngest members of the RBO. He enjoys spending time at the beach, RU football, playing soccer, the occasional round of golf, and family cruises. © 2019 Russian Brotherhood Organization of the USA, All Rights Reserved.